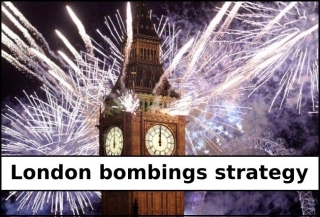 Inception strategy is one of the many varieties of "London bombings", as it implies trading using pending orders after the opening of London, but it differs from peers by being based on EUR/USD and AUD/USD pairs. 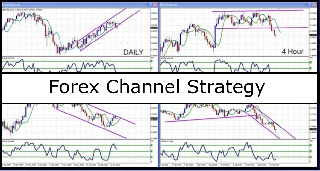 This trading strategy has been and remains quite popular due to its simplicity and high efficiency. The secret of trading is that often the first impulse before the opening of London trading sets the movement of the pair for the day. 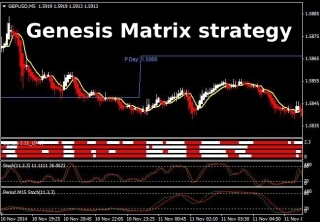 Genesis Matrix strategy became widely known relatively recently, with some traders having already optimized it to trade binary options, as its quality of the signal system was higher than that of similar algorithms. 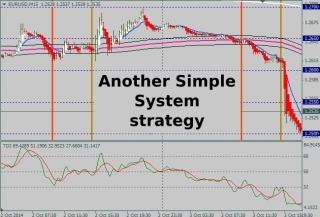 Today we will review another indicator strategy Another Simple System, which first appeared in the vast network back in 2012 and was intended for trading EUR/USD pair using RSI, moving averages and “round levels”. 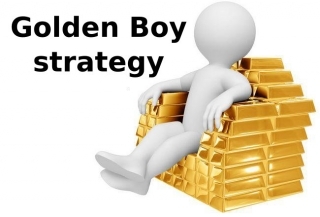 Today's publication will be somewhat different from previous ones, as Golden Boy strategy was designed specifically for intraday gold trading and uses simplest indicators on Renko charts, which is not often. 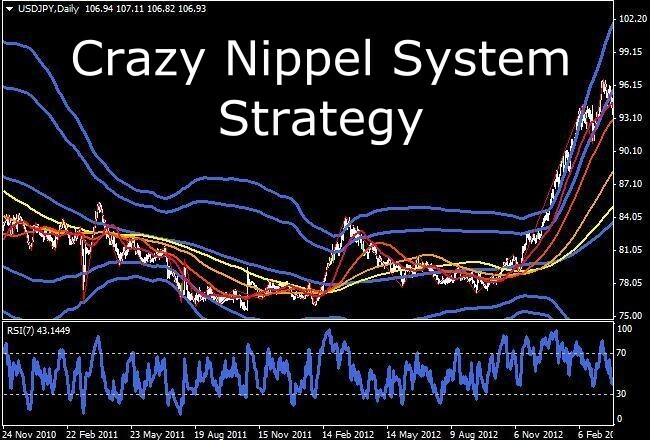 Crazy Nippel System Strategy was created in 2013 and has managed to gain popularity among traders due to the successful combination of many known techniques of technical analysis in the algorithm – from Elder screens and indicators to price levels. 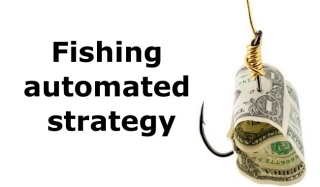 Fishing strategy is a classic example of the partially automated systems, which have recently been getting more common. 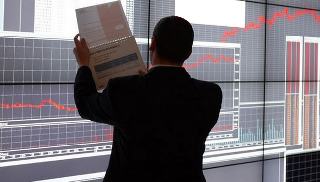 The reason for such popularity is on the surface – on the one hand, the pace of modern life does not allow to continuously sit in front of the monitor, on the other hand, the market began to change rapidly so that robots sometimes can’t consistently work even for a half of year without the intervention of the trader. The system found its common form in mid-2013 after extensive tests by many traders and collaboration of programmers and enthusiasts, so it has never been sold and is completely open development for everyone. The logic of the strategy is built on the usual breakthrough of slanting lines, constructed according to the latest price extremes – roughly speaking, the trades open at the breakthrough of the tangent, which is most often formed in the regular triangle or wedge, but sometimes can be outlined at only one side of the current price. 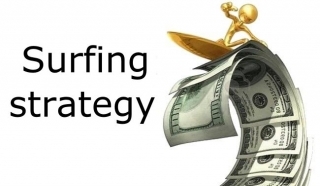 As you can see, traders are mostly creative people, so do not be surprised at the appearance of strategies with very unusual names, the classic example of which is the Surfing strategy. The main purpose of this technique on the idea of the authors is to find and try to catch the intraday price wave. Anticipating the major question, we would like to briefly mention why this strategy has attracted our attention. The matter is that it is radically different from the rest of the wave theories, it is appropriate to even say that it has nothing to do with them, as it is based on the standard indicators included in the package of any terminal. In our opinion, this feature is an advantage, since it eliminates the ambiguity in the interpretation of the pulse, as it happens, for example, in the study of Elliott waves – furthermore, the system provides unambiguous rules to set stop-loss, which is an important consideration when trading in the Forex market. An approach similar to the usual traffic signal is used in many indicator systems, which warns the driver about the time when you need to stop, get ready to move, and hit the gas pedal. Of course, this analogy in the financial markets has been noticed a long time ago, resulting in the Traffic Light trading strategy. It should be noted that to date, several versions of this method can be found, the most popular of which will be considered below. But we will start our review with the original version, of course, which is considered to be the starting point for the further development of the algorithm. The New Zealand dollar is one of the "tech" currencies, but due to the small weight in world trade it is often forgotten in the training courses. 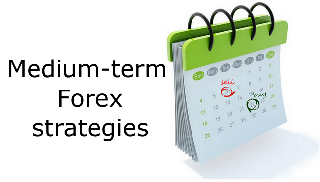 As a result, many new Forex strategies for this pair are undeservedly put aside, as they are simply aren’t tested. In order to correct this injustice, we will take a look at three systems for "kiwi", which appeared relatively recently. Before proceeding to the study of indicators and rules of transactions, we should recall a few facts about the New Zealander. 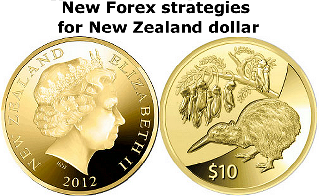 Firstly, it is the commodity currency, so long-lasting positive stable trends often form on it following the commodities, and secondly, the kiwi is actively used in carry-trade operations, which also creates additional preconditions for powerful trends, and, thirdly, the news background across New Zealand is the most transparent and clear. All these factors provide invaluable help when using technical systems. 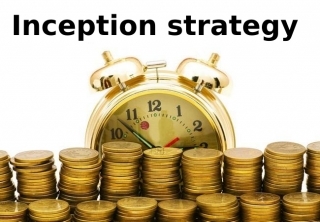 Experienced speculators quite often evaluate the financial markets as random processes and work mainly with probabilities. Of course, when the novices learn about this, they also try to apply their memories of the higher mathematics course in trading. 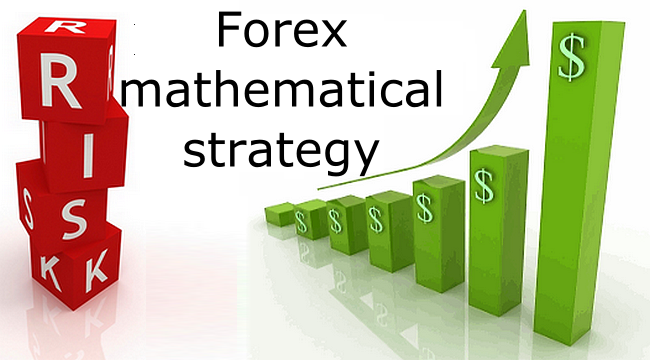 In result, various mathematical Forex strategies appear. Unfortunately, these solutions lead to a waste of time at best, or large sums at worst. The fact is that the “mathematical” systems normally mean the Martingale, which is the most primitive approach to the management of a random process and has nothing to do with complex regression models and statistical calculations. Quite often you can see a picture of traders arguing about which style of trading is the best, where intraday trading is subject to comprehensive though unfounded criticism. 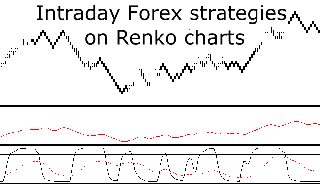 Therefore, to save someone’s nerves, we’ll try to figure out what intraday Forex strategies are like, after which we’ll examine an interesting example on Renko charts. First of all, let’s destroy the myths, stereotypes and misconceptions of the critics that prevent newcomers from getting a clear picture and collecting all the pieces of the puzzle. So, the misconception No.1 is “Dealing center won’t allow to earn because of the high spreads and commissions”. In fact, it used to be so a decade ago, but there are many companies that allow working in ECN system on the market now, and if you want you can even trade currency futures on the CME, and the greater the turnover, the cheaper the commission will cost. You can find a number of trading strategies called "Sniper" online, but today we will talk about the cognominal system on the indicators, as it is easy to use and, incredible as it may seem, is unique, because it is built on its own formulas and does not copy the pattern of other traders. 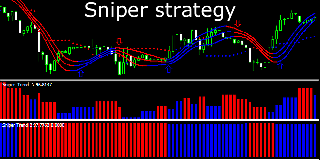 Despite its age (about 7 years), the Sniper strategy is still not without reason attracting the attention of speculators. Firstly, it is perfect for both intradayers and positioners. Secondly, the work does not impose any strict limitations on trading tools, although initially the algorithm was designed for the British pound. And thirdly, there are a few advisors on the basis of the system of indicators today. Victory strategy has gained wide popularity quite recently, in 2012 – immediately after the author personally introduced it to the public at one of the forums, explaining that the original name was chosen in hopes of winning all troubles in trading, and it should be noted that his hopes were fully justified. 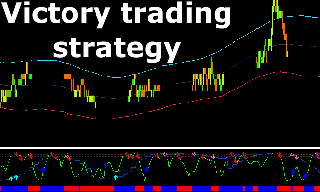 This system is designed for intraday trading, as it implies short goals both for profit and time. The algorithm has soon gained popularity, because on the one hand, it is quite difficult to find or create a profitable scalping strategy, so the information about any method that brings a stable result is spreading like lightning. On the other hand, the critics joined the discussion, and indeed not without reason, but we will mention this below. It is widely thought that there are very few profitable strategies for the currency market, they are incredibly difficult to find, and trading is actually just a game. In fact, working Forex strategies are literally on the surface, but all genius doesn’t attract the attention of the beginners, because it is too simple. The reason for this paradox lies in the stereotype, which is firmly entrenched in the minds and makes us treat the market like something super complex; it is also promoted by popular training courses on the waves, candlestick patterns and the psychology of the market crowd. It would seem that all of the above is really present in the market, but the problem is that the novice Forex trader often lacks objective information to work on the above methods. Many novice traders want to trade every day in order to faster understand the market and to gain experience, but majority of them in the end still face the most common problem – lack of time for trading. Of course, you shouldn’t give up on trading because of busyness at the main job, not least because d1 Forex strategy allows you to benefit from speculation, while spending minimum of time. Before proceeding to the description of a particular system, we should note that in some communities the following stereotype dominates: “Famous traders become successful because they worked exclusively on large timeframes, while intraday and scalping don’t bring any results». In fact, it is an absolute fallacy, and the converse statement will be better – “stars” of trading are working by position, because they are the professionals, they have equity, funds, real businesses – they simply have no time to scalp.